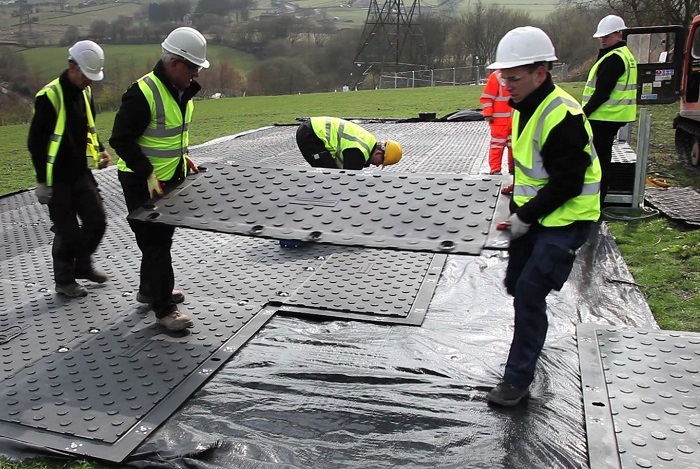 Maintenance work to transmission lines, at a remote hilltop field near Halifax, required a heavy duty temporary vehicle park as a base for mobile teams. The solution needed to be safe, fit-for-purpose and easy to install. 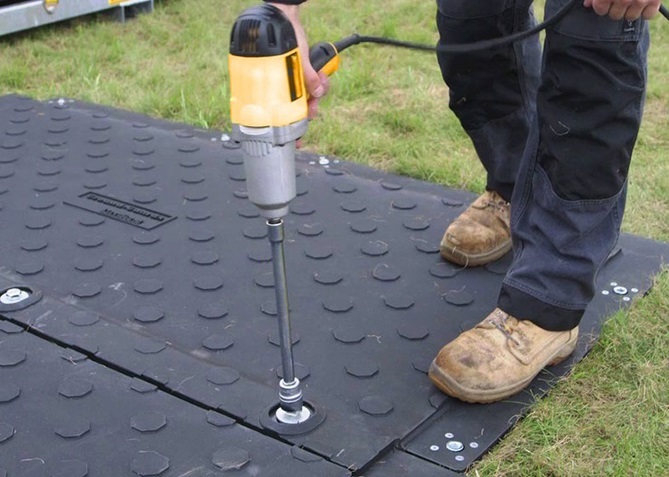 To enable easy, convenient on-site access for the maintenance teams without the fear of vehicles getting stuck in mud or sensitive ground underneath being disturbed, Ground-Guards recommended MaxiTrack. 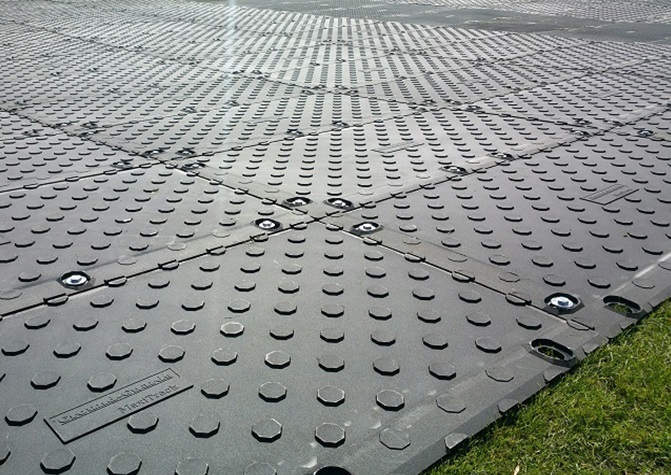 A large pad area, complete with a ground protection sheet underneath, was quickly constructed using a small team of workers, instantly transforming the muddy field into a high performance, high traction car park. The customer was really impressed with the speed and efficiency of the MaxiTrack system. 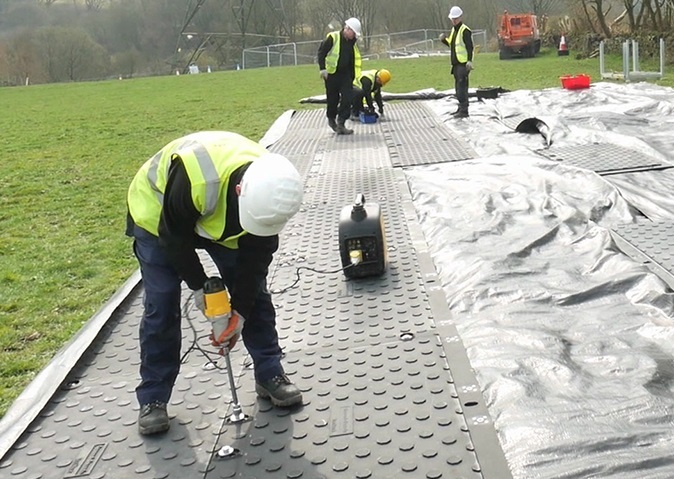 The on-site team now had a safe, convenient area to park their vehicles and equipment without fear of slips, trips and accidents. Work on the transmission lines was now able to proceed.